Google Analytics allows you to “analyze user behavior on your website to improve the user experience and ensure the success of your business.” Adding the Google Analytics tracking code to your website gives you data that you can use to optimize your site for user experience, which leads to satisfied searchers who are more likely to use your products and services. How many contacts forms are filled out, etc. Why is Google Analytics Useful? Have you ever heard the saying, “what gets measured gets managed?” This is the basic concept here that the more you measure your web performance, the better you can determine whether your digital marketing efforts are successful. Google Analytics can give you insight into which pages are bringing the most traffic to your website, which you can then use to create more content (inbound methodology) around those topics users are searching for to build the right resources to meet the needs of the potential customers on your website. The sooner you start tracking your analytics data, the sooner you will be able to gather enough data to analyze trends and website performance. Any changes you make can add to the data, showing whether your new marketing campaign is getting results or if it needs adjustment. 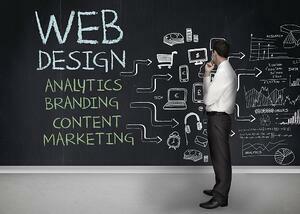 Google Analytics is a free service that will only aid you in improving the effectiveness of your website. There is entirely no reason not to use this tool unless you have better analytics tools at your disposal such as the HubSpot analytics dashboard that integrates every aspect of your inbound marketing campaign. 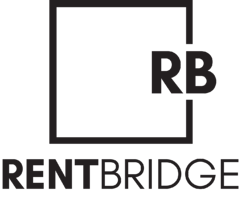 If you need help setting up Google Analytics for your property management company’s website, contact Rent Bridge. We specialize in all things inbound marketing for property management companies in addition to business consulting for new and existing property management companies in the area.